Turning over memories in a Datsun Cherry. Reminiscent of the work of Constable, the painting describes the relationship between people, their constructions and their environment. This is in a sense a not unusual, everyday scene. 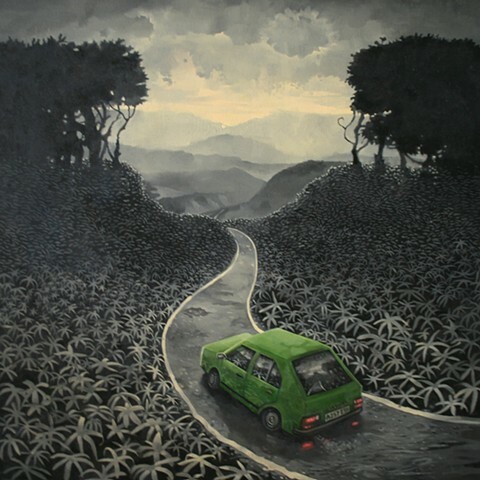 However the curious nature of the monochromatic background sharply contrasting the colours of the car suggests that this piece's narrative could as well be taking place in a landscape constructed in one's memories or reveries.